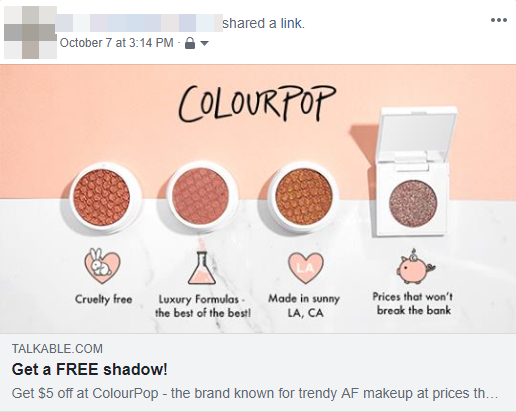 ColourPop is a California based beauty brand that focuses on luxury quality without the luxury price. By housing all steps of their product creation under one roof, this cruelty-free company extends the savings to the customer. 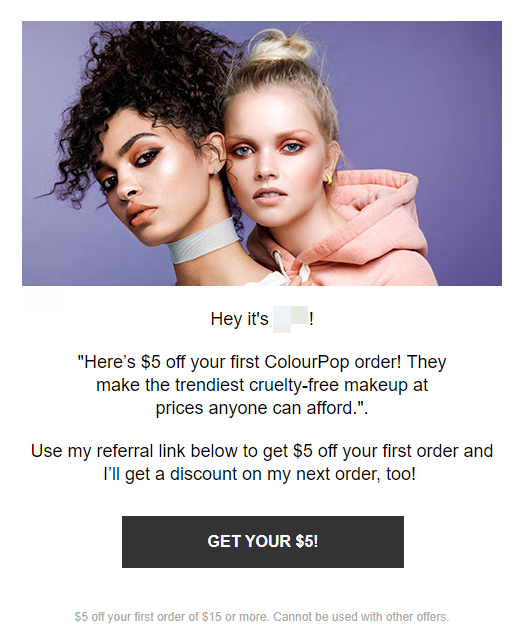 While providing great value to the participant and the referral, ColourPop keeps you engaged through the whole process. 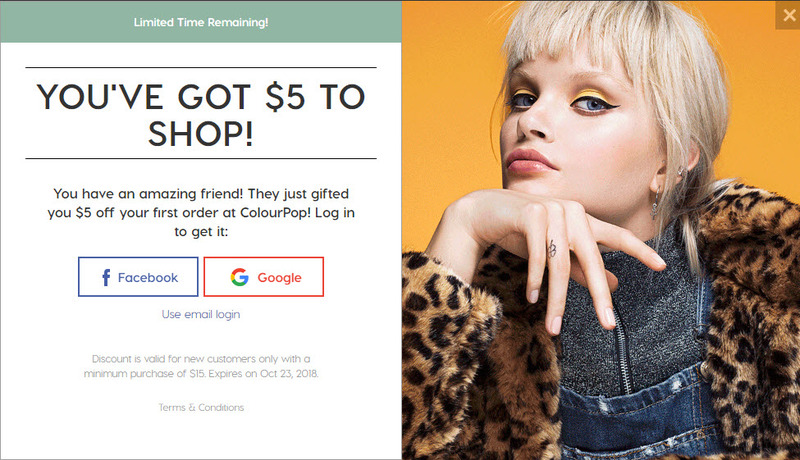 With its ease of use, wonderful images, and enticing text, we applaud ColourPop with an A+. 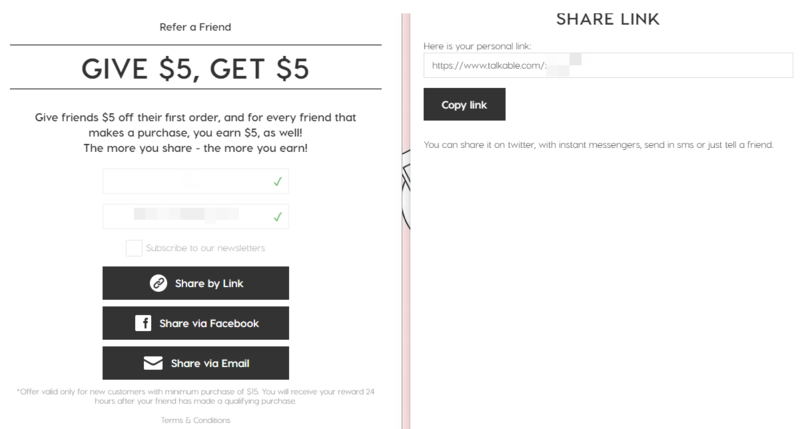 This double-sided reward program offers $5 off the referral’s first purchase worth $15 or more, earning the participant a $5 store credit.